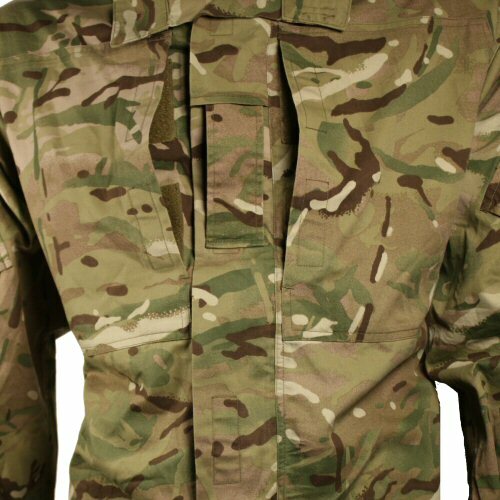 New and factory packaged British Forces issue MTP shirt in Personal Clothing System (PCS) cut. 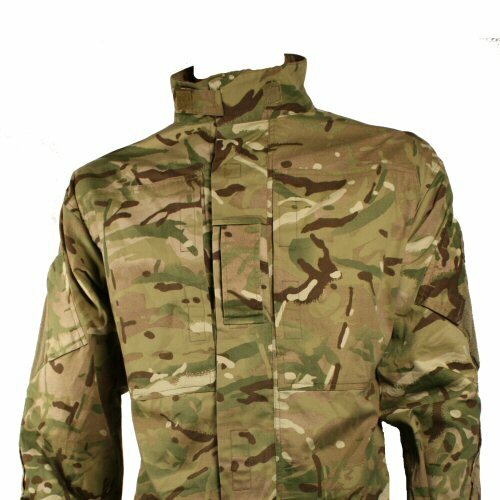 This is the combat ready PCS pattern which has features specifically developed for wear with combat armour and equipment. 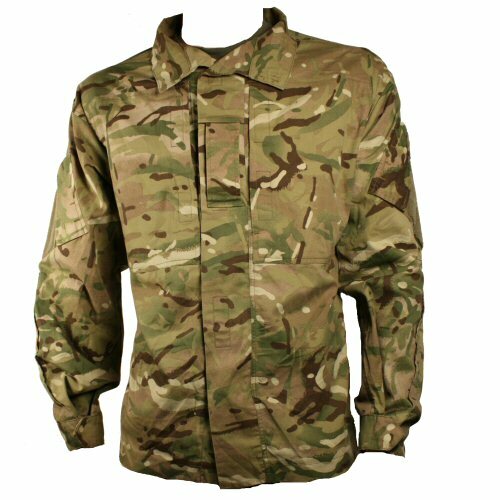 Utilising a lightweight weave for efficient clothing layering, the PCS shirt is suitable for wear in both hot and cold weather conditions. 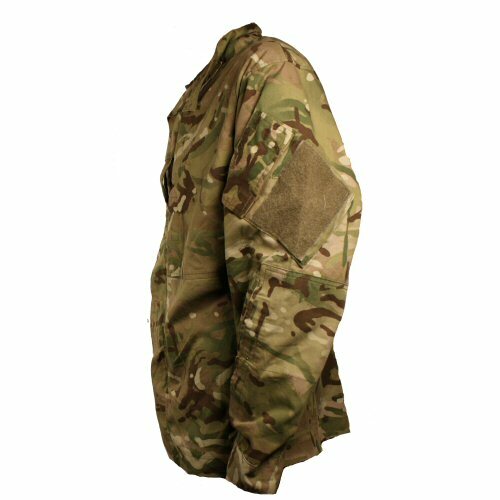 It has a central zip, concealed with velcro front, velcro down commando style rank tab on front, two large dump pockets with internal pen and document pockets within, reinforced elbows which open with velcro top accept padding, drainage holes in elbow reinforcement layer, mandarin collar, arm pockets with velcro on the outside and two-stage adjustable cuffs. 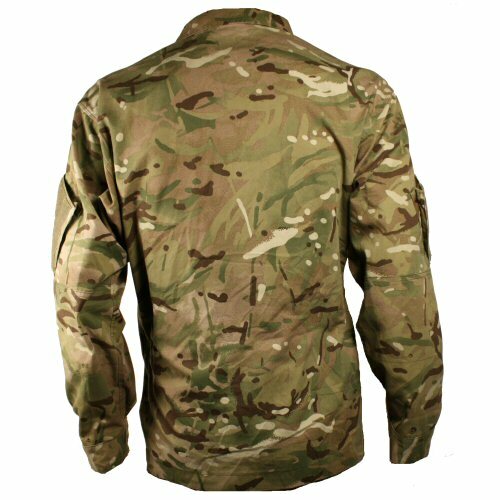 MTP camouflage is a multi terrain camouflage which offers concealment in both sandier, drier terrain, grassy terrain and woodland at ground level. Large sizes only: 44R (180/112), 44L (190/112). Available options are: 38R , 40XS , 40S , 40R , 44R , 44L , 48L . Shirt with collar up, showing the two large chest pockets. Further detail on the chest pockets and rank tab. Side view of shirt showing the arm pockets. The new shirts are factory packaged and complete with blanking patches.